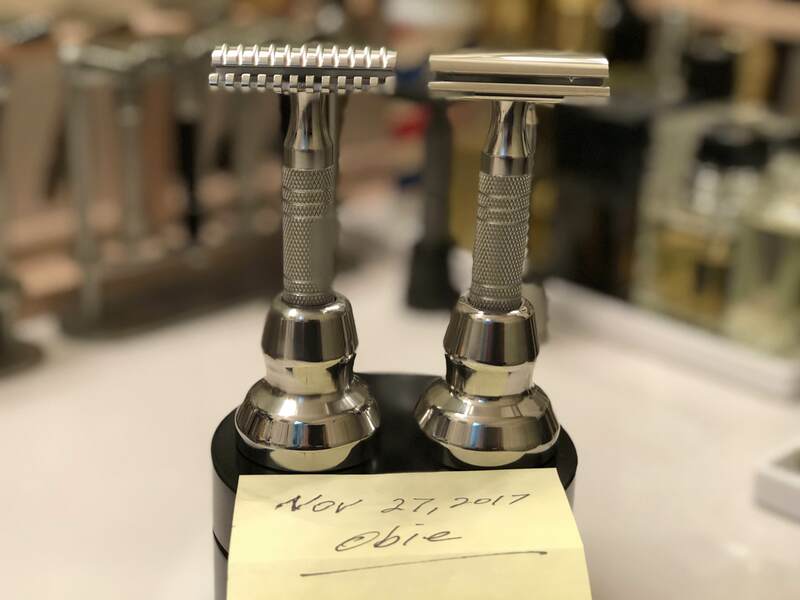 I have two Timeless stainless steel safety razors with stand that seem to get little use as more and more I reach for new or vintage single edge razors. Both Timeless razors are in perfect condition. Paypal is fine. No trades, please. Thanks. U.S. sales only. Both razors are still available. The SB was sold, but then the sale fell through. Both razors are priced to go. Paypal is fine; no trades, please. Right you are. These are great razors. Since these days I use mostly single edge safety razors, and straights, these two beauties sit around mostly unused. I hate to have razors and brushes sit around unused. I might as well pass them on. Are these stands with it? WOW!! A steal at these prices if I didn’t already have one the OC would be mine. Plus, Obie is the absolute best to deal with. Best of luck!! (12-01-2017, 01:44 PM)Nh wet shaver Wrote: Are these stands with it? (12-01-2017, 01:44 PM)cdude62 Wrote: WOW!! A steal at these prices if I didn’t already have one the OC would be mine. Plus, Obie is the absolute best to deal with. Best of luck!! Ah, my friend, thanks for the kind words. The SB is sold; the OC is still available.